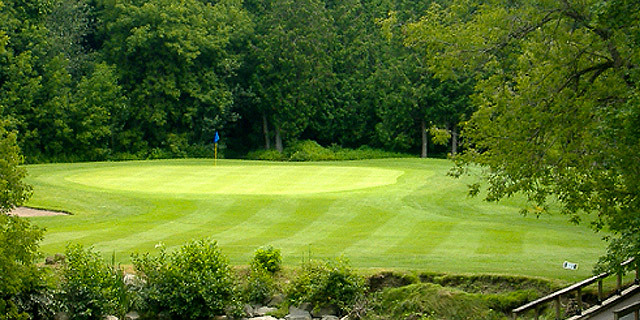 Lyndebrook Golf Course is a beautiful nine hole executive which has been built along the meandering Lynde Creek just north of the Town of Whitby. Whether you are an experienced or a not so experienced golfer, Lyndebrook is the ideal place to develop your game. You will enjoy the natural surroundings as you tee off from our bent-grass tees onto our well maintained tree-lined fairways and fast (but not too fast) greens. As well, with average rounds taking little more than ninety minutes to complete, Lyndebrook is perfect if you want to golf but don’t have time for a full eighteen.